25 years ago, The Orlando Citrus Parade or Super Holiday Parade, was organized as a Holiday celebration and to welcome the teams that would play in the annual Florida Citrus Bowl (Capital One Bowl) and The Tangerine Bowl (Champ Sports Bowl). The first parade was hold in 1980 under the name "Orlando Jaycees Christmas 1980: A Family Affair". An article was first published by The Sentinel Star (Today The Orlando Sentinel) on the GO GUIDE section on December 2, 1980. The article reads "December in Orlando: What's Happening" . "Christmas 1980: A Family Affair" is the theme of the Orlando Jaycees Parade trough Downtown (Orlando), starting at the Expo Center on Livingston (St) and winding its way to an end at Howard Junior High School on East Robinson (St). The 70 unit parade will include bands, floats, precission marching units, a fleet of Corvettes and The Tangerine Bowl Queen hopefuls. If you can't make it out to the parade, Channel 9 (WFTV) will televise the Orlando Jaycees Christmas parade, live." Every year since 1980, the Orlando Citrus Parade is broadcast on WFTV channel 9 (ABC Affiliate). For 2005, the parade is expecting to reach over 200 TV markets, thanks in part, to a clearance from WABC TV, which is carried as the main ABC TV station in the NYC market. Since WABC TV can also be seen in areas where ABC Networks cannot reach (Example is when an ABC affiliate is not available, or outside the USA), as much as 100 million viewers will be watching this parade. 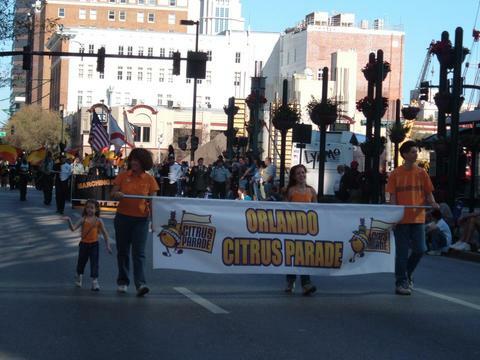 In 2004, The Orlando Citrus Parade reached an estimated 73 million viewers on 115 TV markets. 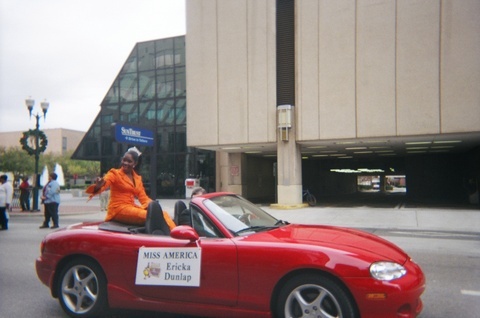 The parade reached the Nielsen ratings with an average of 1.5 points. If your local market, is not carrying the Orlando Citrus Parade, chances are that your Cable TV or Satellite provider will do so. In fact, COMCAST SPORTS and FOX SPORTS NETWORKS has agreed to offer the parade. Still you need to check on your local listings or the Florida Citrus Sports web site, for when the parade will broadcast. 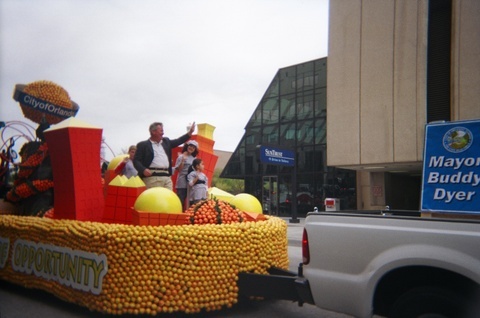 The Citrus Parade has been mentioned as the second largest sport event related celebration, next to the Tournament of Roses, from Pasadena, California. The only difference is that in The Tournament of Roses, the floats are decorated with rose petals. But not at the Citrus Parade! 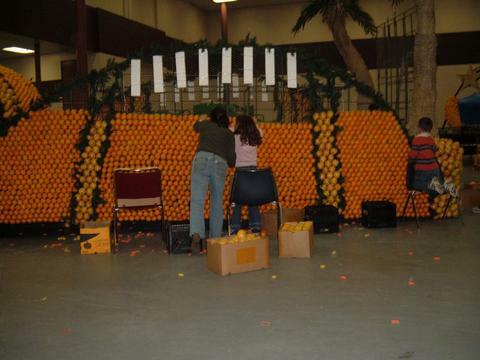 The floats are designed and about 100,000 pieces of Citrus Fruits are attached to the floats. At least 500 volunteers will be ask to donate their time to decorate as much as 5 to 7 floats. Every year, over 80,000 spectators comes to Downtown Orlando as part of the team fans and high school participants that will march along the parade route. High School and University's marching bands, along with Theme park characters from Disney, Universal Orlando and Sea World Adventure Parks and floats filled with Citrus Fruits, will mark the occasion for Football fans to celebrate the new year's bowl games with style. Since 1980, the Super Holiday Parade or Citrus Parade, has been a big community effort to bring together Central Florida's biggest names in sports, as well as the teams that will take part on the annual Citrus Bowl game. Celebrities and well known Central Florida personalities has been seen marching along the Downtown Orlando streets to say 'hi' to thousands of fans that comes in representation of the teams playing the big New Year's game of Capital One Bowl. In the left picture, Orlando Mayor Buddy Dyer. These pictures where taken on December 30th 2003.